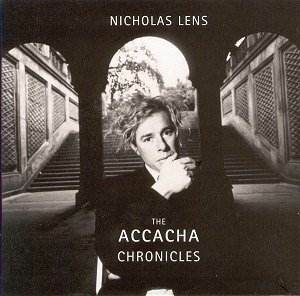 I knew nothing about the composer Nicholas Lens prior to receiving this BMG Classics box set entitled The Accacha Chronicles. After five separate attempts the English version of the BMG Classics website remained inoperative and I was unable to unearth any information concerning the background to this release. 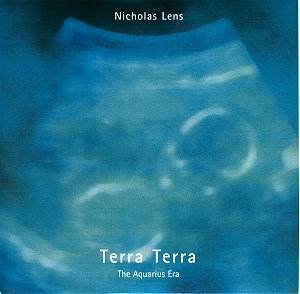 A friend familiar with composers of contemporary music has informed me that the composer Nicholas Lens was born in Belgium in 1957 and has composed extensively for the theatre, film and television. The Accacha Chronicles is Nicholas Lens� mystical and lyrical trilogy that features eccentric Gods including: the firegod Flammaius; the watergod Aquarius and the goddess Maramnan. Just to have some fun the gods attempt to imitate all the possible sensations and feelings that human mortals, confronted with death, birth and love experience. In the first drama Flamma Flamma (The Fire Requiem) the gods worship fire as a metaphor for human passion, as a potent human being and the experience of rebirth and a new consciousness of man. In the second drama Terra Terra (The Aquarius Era) the gods praise water as the source of purification of the mortal human being and the experience of rebirth and a new consciousness of man. 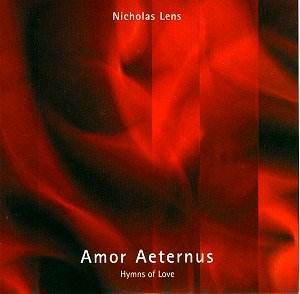 The third drama Amor Aeternus (Hymns of Love) the gods glorify eternal love, in all its aspects, as a hymn of mortals to their own immortality. The booklet notes to this well presented three disc set are interesting and informative and each of the three dramas are well explained and full texts are provided. I especially like the detailed explanation about the personality of each of the characters of the dramas. Although there is a lengthy list of singers provided they are not linked to that section of the libretto that they are performing. The same situation applies to the various choruses. This is extremely accessible music, with texts (by Lens) that are often beautiful and expressive. It is extremely difficult for me to categorise. There is an exceptionally strong flavour of the orient running throughout much of these highly eclectic dramas, especially in Terra Terra (The Aquarius Era). I am being serious when I describe the music of these dramas as more enjoyable and accessible than problematical; rather more Barrington Pheloung than Mendelssohn; Indonesian Gamelan than Henze; more Kate Bush than Birtwistle; more Gilbert and Sullivan than Stockhausen; more Ian Anderson of Jethro Tull than Berio, more Tai Chi melody than Wagner and more Kenny G than Vivaldi. 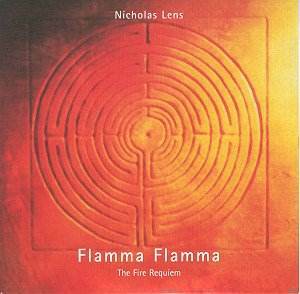 I never once felt that Nicholas Lens�s extremely lyrical music was ever gimmicky throughout the eclectic range of sounds and influences. I was struck by the composer�s robust integrity and innate fascination with human emotions and with life and death. The various soloists and the choruses that are used are in excellent shape and find few problems in negotiating the often swiftly-moving demands of the scores. Special praise must be given to the Gondwana Chamber Orchestra who perform with versatility and a high degree of proficiency.